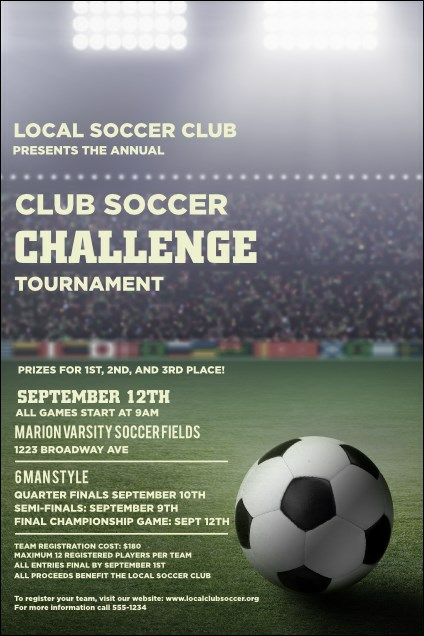 Dominate the competition when you use the Soccer Stadium Poster to advertise your event! This graceful template shows off your event details on the backdrop of a gathering of aficionados in a stadium lit for a twilight game. Twenty open lines await your info. The right poster from TicketPrinting.com can help your event get all the attention it deserves!